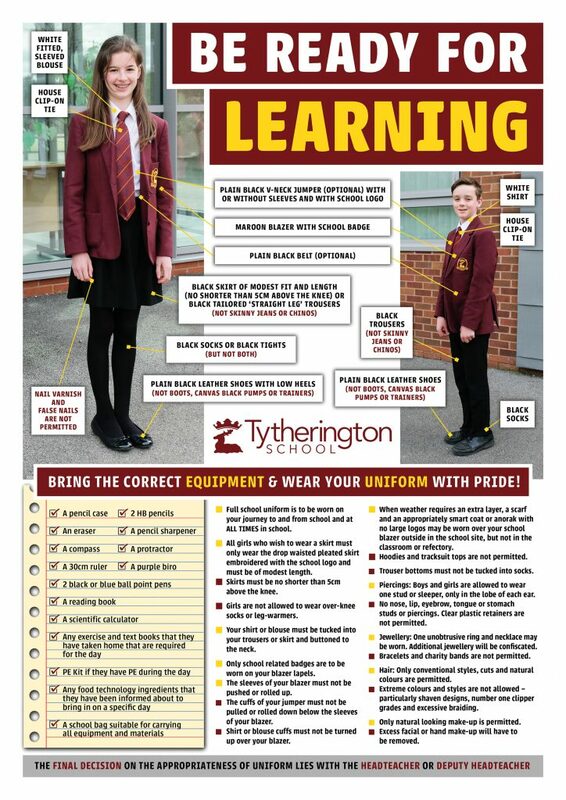 Wearing the correct uniform and carrying the correct equipment on a daily basis is part of being ready for learning at Tytherington School. 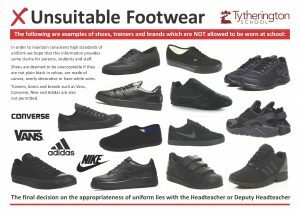 The poster to the right and footwear guidelines below provide students with all of the detail that they need to ensure that they are correctly dressed and ready for learning – please click on the poster for a printable PDF file. 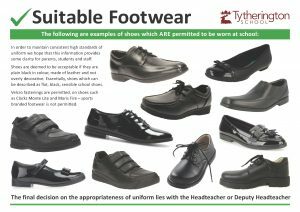 A high standard of personal appearance is expected from all pupils and the final decision on the appropriateness of uniform lies with the Headteacher or Deputy Headteacher. 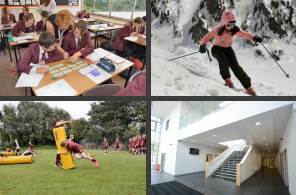 Any confiscated items of non-uniform will be handled in the same way as confiscated personal valuables that are handed to the Pastoral Office for collection at the end of the day. Please note that Trutex also provide sponsorship for our school fund on each order placed. The school will continue to hold a limited stock of ties that can be purchased via reception or the finance office. To see our web page that contains a dedicated equipment list, please click here.